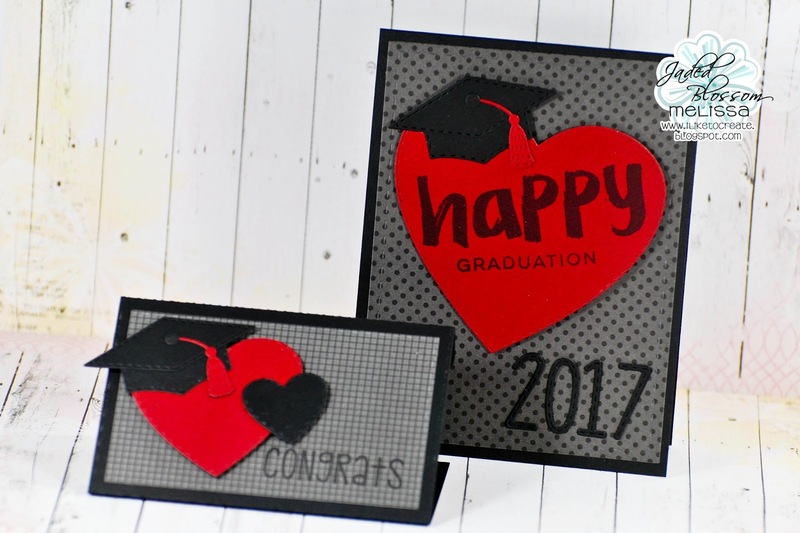 Jaded Blossom: Happy Graduation, 2017! Proms have started and soon your favorite Grad will be walking across the stage to receive their diploma!!! I have a few favorite Grads this year! This is Melissa from M Miranda Creations and I am hoping this card and gift card set will spark some ideas for you! The school colors where I work are black, red, and gray. Thanks for dropping by! I hope you will share your fun graduation projects with us at the Jaded Blossom Garden of Creativity! this is a grad set-- definitely need to remember this for any and all upcoming graduates! You're the Balm Teacher Gifts! Jaded Blossom April Stamp Release Blog Hop!